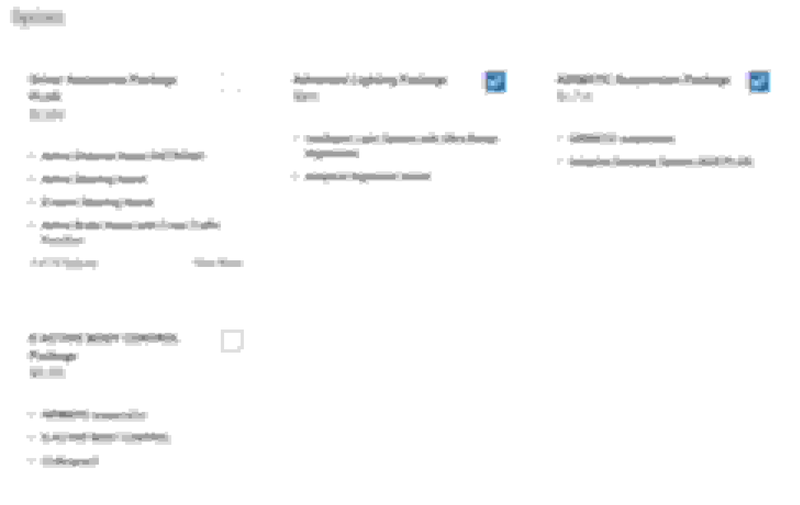 I like the layout of the configurator but I'm noticing several bugs. Issues selecting a combination of options, the total MSRP is often not updated. The developers have some debugging ahead of them but good to see this on our web site. Found another bug: selecting Driver Assistant Package Plus or E-Active Body Control doesn't update the total build price. Another bug that I found was that it would not allow you to select driver's assistance package if you have selected energizing package..
Also selecting Energizing package plus does not automatically add the air balance package. Greg, when you get a chance to explore the GLE Build pages maybe you could compile and submit a bug report to MB. There seem to be limits on choices, things that have to be added or deleted, that aren't on the DOG and that my dealer didn't catch (if its correct). Did things change since Feb. 4? I would think the DOG is correct and the Configurator buggy. It’s also possible that Mercedes has adjusted some items going forward. My build has a few things different too. It now shows Burmeister included in Premium 1 as it did in an earlier DOG but then changed to a required add for more $. It doesn’t require the warmth and comfort package, my build has standalone rapid heated seats not an option, etc. I’d give this Configurator a few days to let them fix it. I agree with you completely Ron. The web team will get it working properly. It is a little disconcerting that they put this live with so many obvious bugs. Normally one would expect that it be tested and then released so the rumors about Tech problems seem confirmed. Possible scenario....”Boss says I want that live on March 1” Tech support gets it done! Greg is going to be so disappointed that you discovered this first. But thanks for letting everyone know. Damn - I've been checking like 10X per day! Does this model has rear cross traffic warning? "Active Parking Assist with PARKTRONIC assists the driver when searching for a parking space and when entering or leaving parallel or end-on parking spaces. In the case of end-on parking spaces it is active in both forward and reverse direction. It maneuvers the vehicle into the selected parking space and back out again. In the process acceleration, braking and gear-changing is automatic. In combination with Blind Spot Assist, the system can warn the driver of cross-traffic when reversing out of end-on parking spaces, and also initiate automatic braking if necessary. Parking Assist PARKTRONIC gives a visual and acoustic warning of recognized obstacles with the help of six ultrasonic sensors in each bumper. These can be in front of, to the side or behind the vehicle, and are recognized at speeds up to approx. 6 mph." This might explain why the Canadian configurator is not up yet. They are surely working out the bugs in two official languages. I am starting a list now. I've been waiting all morning for your reaction. Hey, it's still EARLY here! I could use some "ultrasonic sensors" in my rear-bumper when I get out of our shower every morning. All kidding aside, this is a useful safety feature. My build has standalone rapid heated seats not an option, etc. 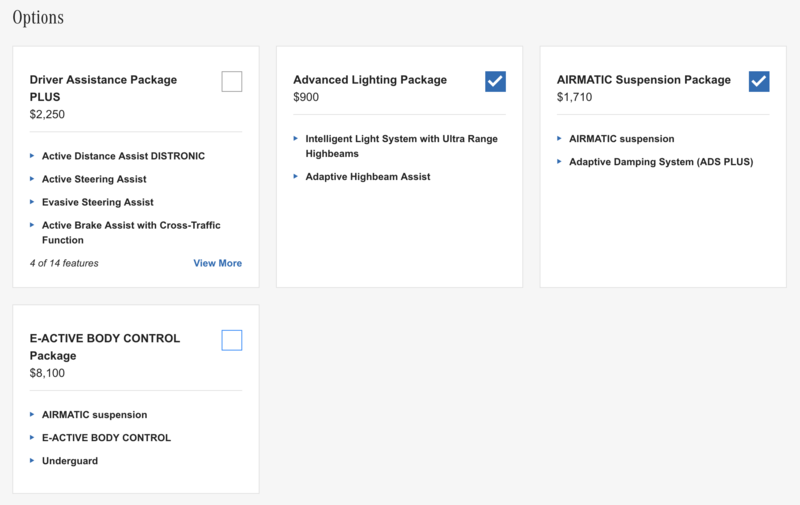 Some things like that are considered SO (Special Order) options and will probably never show up in the configurator but are available through NetStar. Did anyone else note that when you're driving down a street (in larger cities I would presume), MBUX uses your sensors to send data back to their head-end database of available parking spots on those streets and then sends that data to other MBUX-enabled vehicles and displays available parking spots on their Nav maps. Really cool tech! Had not noticed that. Wonder if it can distinguish loading zones and driveways. Another one - the photo of the Load Sill Protector is not correct. All VPC accessories are now priced. Last edited by GregW / Oregon; 03-01-2019 at 10:50 AM. This is the feature I was referring to earlier that probably requires a camera. If that's the case then it's probably been removed from the early builds with the credit on the sticker. Last edited by Ron.s; 03-01-2019 at 12:02 PM. It should be in the Configurator if the DOG is correct because it’s one of two options required for my selection on a build requiring Multi Contour Seats and......I had to have the Warmth and Comfort or I could select just the Rapid Heated Seats. That’s not a requirement on the Configurator so will have to see how it shakes out now. Maybe the DOG was wrong or changed later. Last edited by Ron.s; 03-01-2019 at 12:04 PM. It may not take long for the Configurator to get fixed. There have been several changes already made in the last few hours. What did you notice? Nothing happens when I try to select Driver Assistance Package PLUS and E-ACTIVE BODY CONTROL.